Note that some of the links on this page are affiliate links. That just means that I get a small commission (at no cost to you), if you buy. Of all the network marketing tools I use, this is by far the most important. MLSP is an attraction marketing system built specifically for network marketers. As well as a boatload of online marketing training, MLSP also offers 100% commissions on products that you can sell to those prospects not interested in joining your opportunity. Check out my MLSP review (including discount & bonuses!) here. I searched for a long time and lost a *lot* of money buying crappy traffic that didn't convert but I finally found a decent, no - amazing, traffic source in ILS. I liked it so much I partnered with them and can now offer you the exact same traffic I use in my business. Bluehost have great support and a great rep. I use them to host the MarketerMaker blog. You'll get a free domain name, AND, if you purchase through my link, I'll setup your blog for you and install a premium theme and essential plugins. I'll also give you a bonus video, explaining the two things you *must* do so that the search engines know about your blog. Thrive is the theme that MarketerMaker is built on. Thrive membership isn't cheap but you get a lot of bang for your buck. You'll get access to 9 beautiful, conversion-optimise, lightning-fast​ themes and also three plugins. I've used AWeber for years and since they sorted out the editor interface, I find it really hard to fault. You can get started with a 30 day free trial. LongTail Pro is arguably the most important tool in my box. It's certainly the one I have most fun using, anyway. As I've said before, keyword research is like panning for digital gold! I use the Platinum version as I find the additional "keyword competitiveness" feature a massive timesaver. 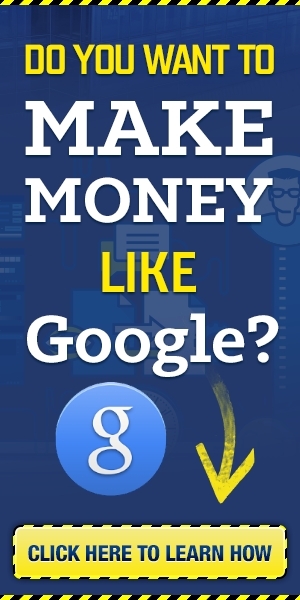 ​If you're on a budget then you can get similar results with the Google Keyword Planner. Check out LongTail Pro here. I use Screenflow for editing all my videos. It's only for Mac though. Windows users can use Windows Moviemaker for free or check out Camtasia for a more preium solution. The best on-site SEO plugin for WordPress by a country mile. And it's free. I use Jing for screen capture and making video tutorials for team members. Dead useful and also free. Pixabay is an awesome resource where you can find thousands of images free for commercial use. After having a disaster with a couple of other tools, I've settled on EasyWebinar as my webinar platform of choice. It does both live and automatic webinars. Highly configurable and easy to use. Do note that if you sign up for MLSP, you get a month's free trial of their webinar solution, which is pretty good too. Creates beautiful, high-converting landing pages in a flash. The cool thing about LeadPages is that you don't need a website to throw up a page and start driving traffic. If I was getting started again today though, I'd just go from MLSP as it has a very similar tool built in. You've heard that the fortune is in the followup? Well, CRM (or customer relationship manager) is what the pros use to make sure the followup happens like a well-oiled machine. MLSP has a CRM that is customised for MLM built right into it. If you need some well-earned sustenance in between tweaking your landing page and tuning your ads then this delicious eastern asian coconut-based dish is your go-to snack. I hope you've found my network marketing tools recommendations useful. If you have questions about any of them or how I use them then just hit me up below! P.S. How would you feel if you could get free leads forever? Discover how here.